TreePhilly's Spring Yard Tree Giveaway was a Success!Treephilly TreePhilly's Spring Yard Tree Giveaway was a Success! The Spring Yard Tree Giveaway is over and thousands of people came to pick up their free trees! Philadelphia Parks & Recreation staff, Tree Tenders, and Lincoln High School students did tree planting and care demonstrations, and everyone went home with a profile of the tree they chose and information on proper planting and care. If you missed the spring giveaway you can still sign up for the Fall Yard Tree Giveaway by clicking on the link in the left sidebar. Many thanks to Wells Fargo and all of the community partners who made these events possible! 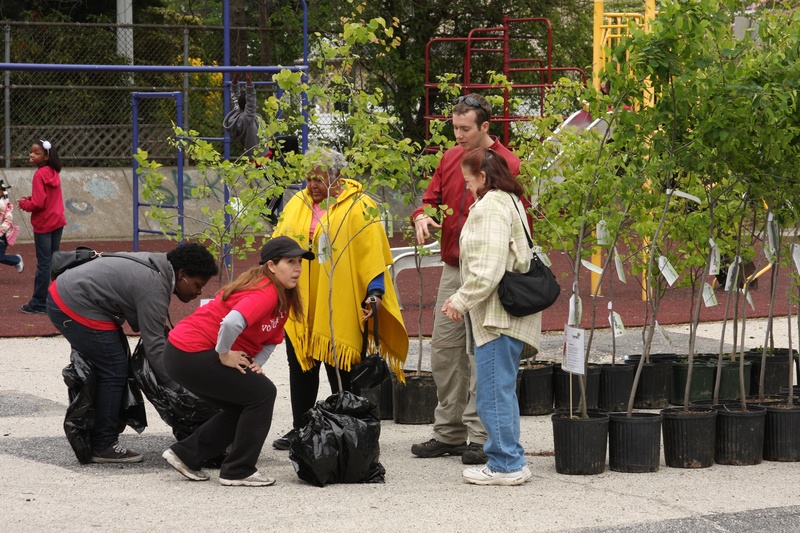 Here are some photos from the Spring Yard Tree Giveaways: Wells Fargo volunteers helped people choose the right tree for their yard at the Oak Lane Library during the TreePhilly Week kickoff and Arbor Day event on Sat. April 28th. 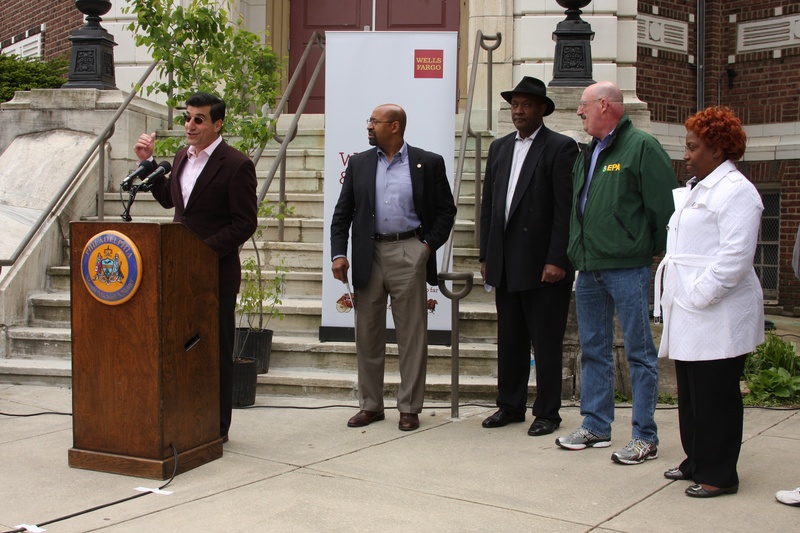 Mayor Michael Nutter, Deputy Mayor for Environmental and Community Michael DiBerardinis, state Rep. Dwight Evans, Nick Kulick from the federal EPA, Michelle Laurene from Wells Fargo and David Weston from Oak Lane Community Action Association spoke about the benefits of trees at the TreePhilly Week Kickoff in Oak Lane. 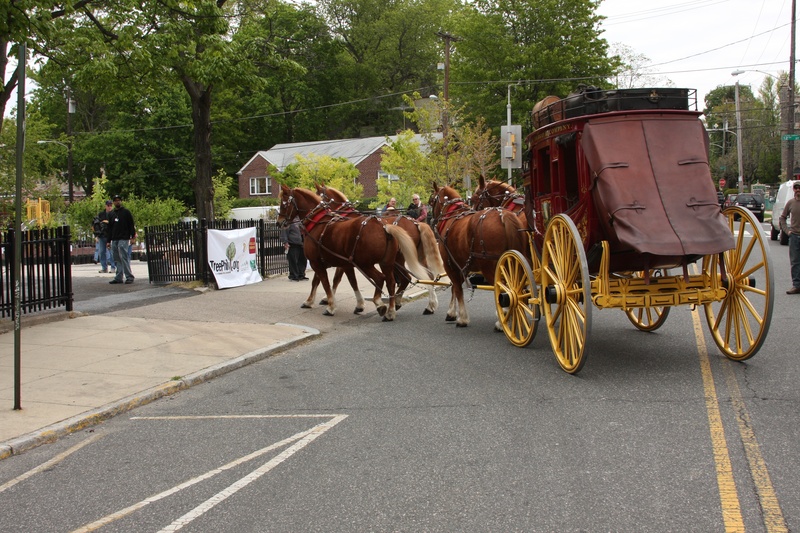 The Wells Fargo horses and carriage came to the TreePhilly Week Kickoff in Oak Lane and gave rides! 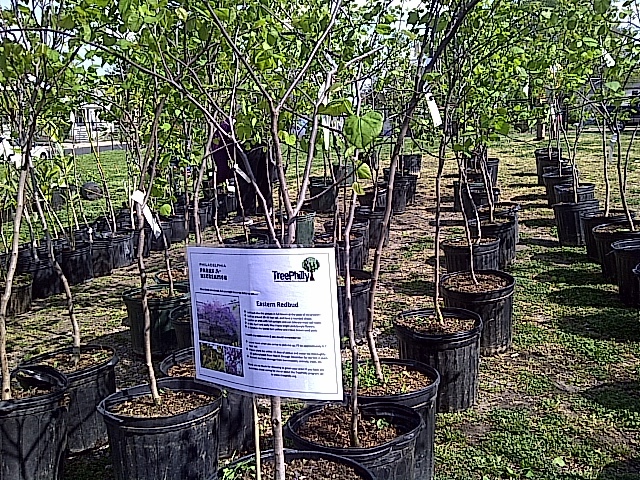 Eastern Redbuds (Cercis canadensis) were all lined up before the doors opened at the Frankford giveaway on Wed. April 25th. Thanks to our partners in Frankford for making this event a success: Frankford Garden Club, Frankford Parks Group, Frankford CDC, Philly Rising. 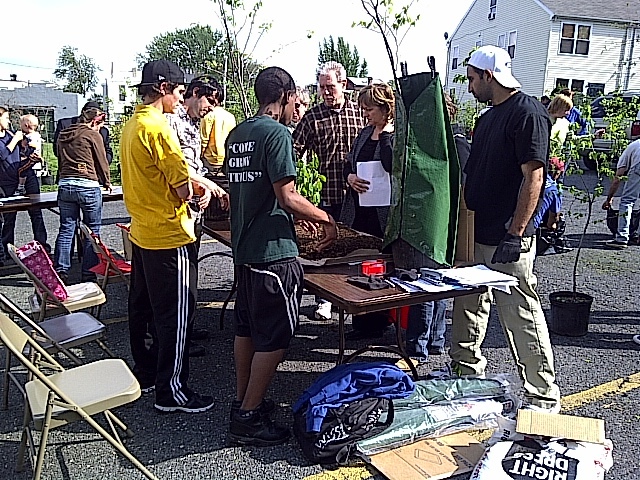 Yard tree recipients at the Frankford giveaway attended a tree planting and care demonstration given by Lincoln High School students. Love for trees spanned the generations at the Haddington giveaway. 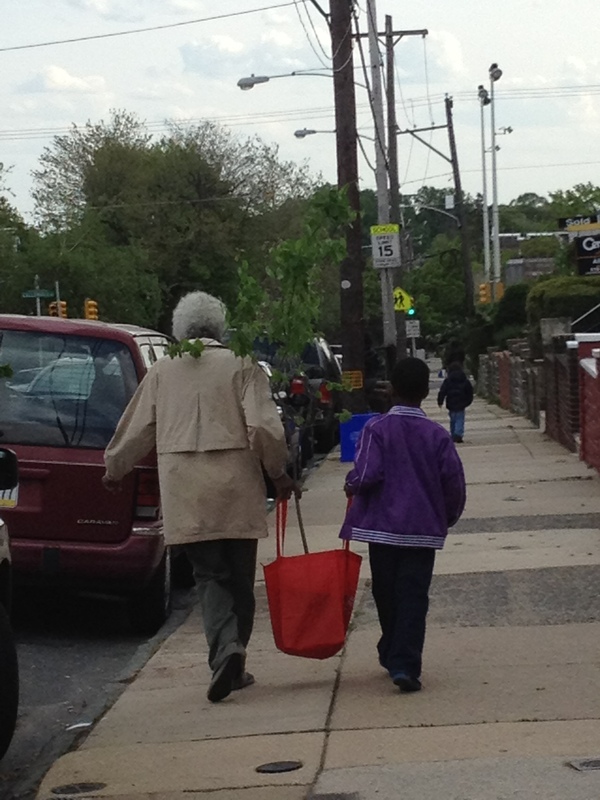 These two carried their tree home in their free Wells Fargo tote bag!